391. 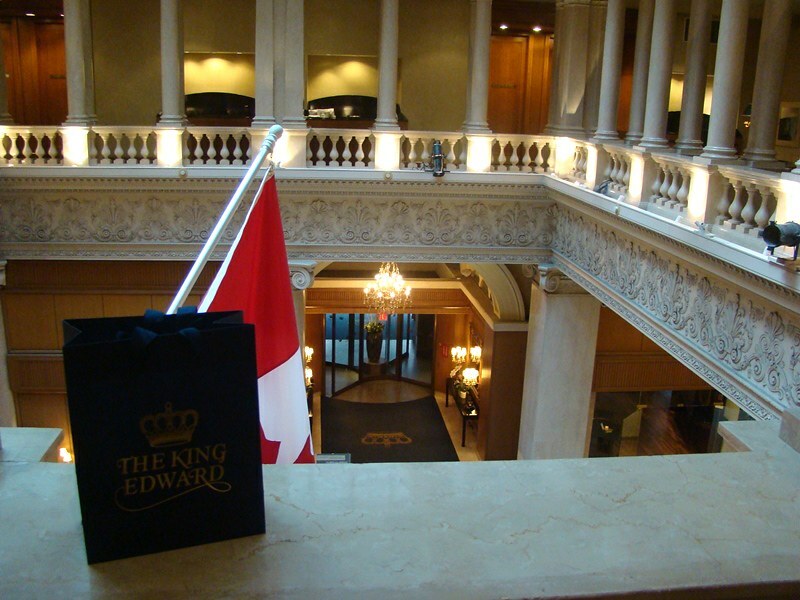 Afternoon Tea at the King Edward Hotel | LEFTBANKED. 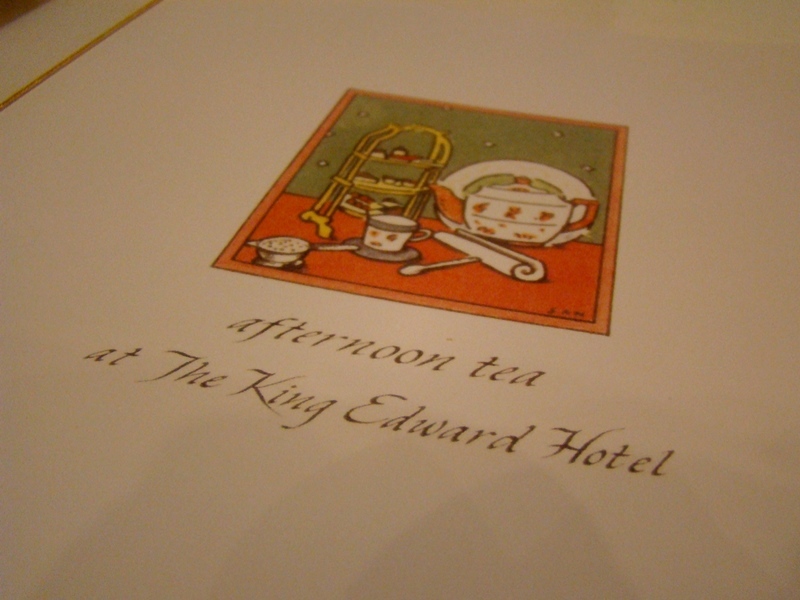 Last Friday afternoon, we went for a nice afternoon tea at the King Edward Hotel. 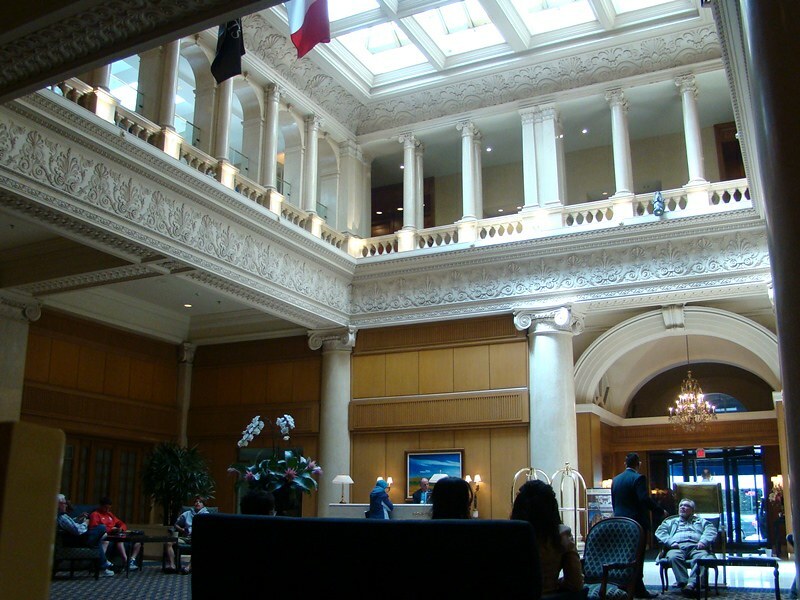 The tea is served in their lobby, every Friday to Sunday from 2:30pm to 5pm. 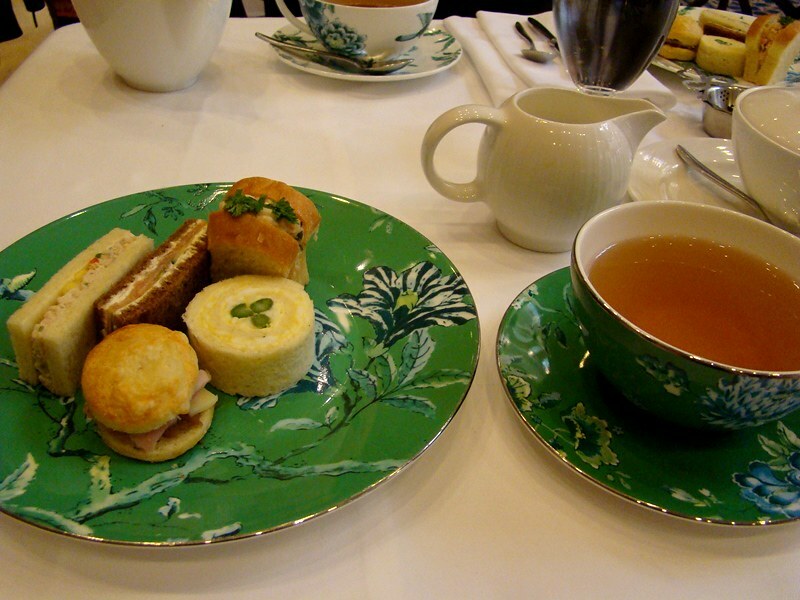 Afternoon tea is always really enjoyable and relaxing; savouring the food and tea at a nice leisurely pace, when a few hours can pass by without us even realizing it. We left completely stuffed (unfortunately unable to finish the sweets tier) and fully satisfied with the experience. 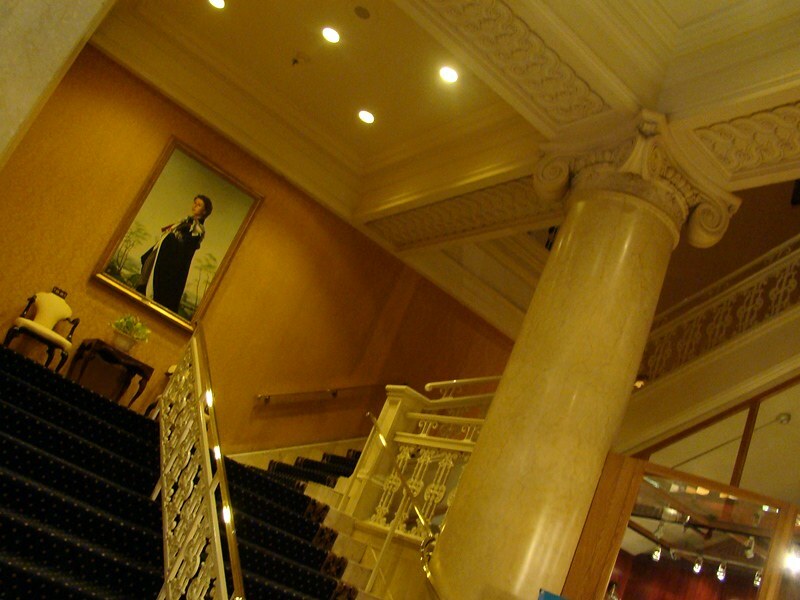 The afternoon tea at the King Edward Hotel has been a tradition since the property was built in 1903. 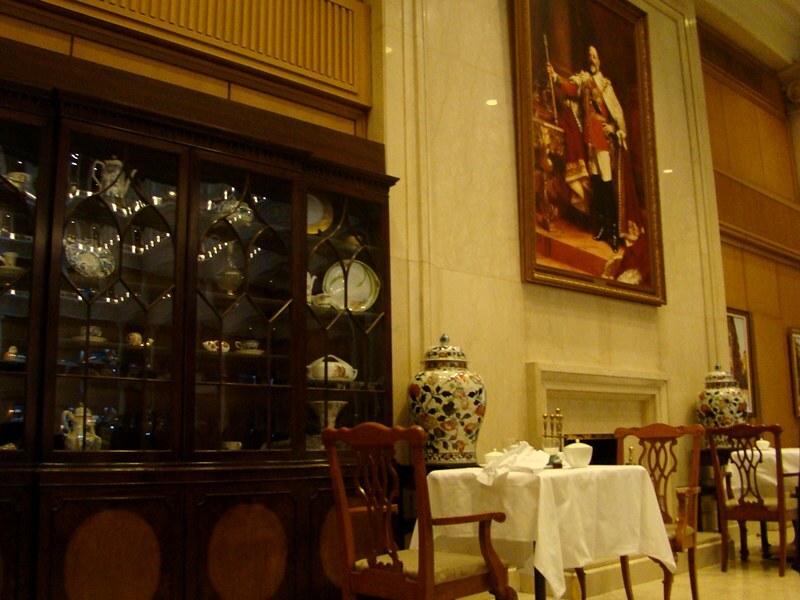 Their tea service has evolved over time, while still maintaining its history and origins. 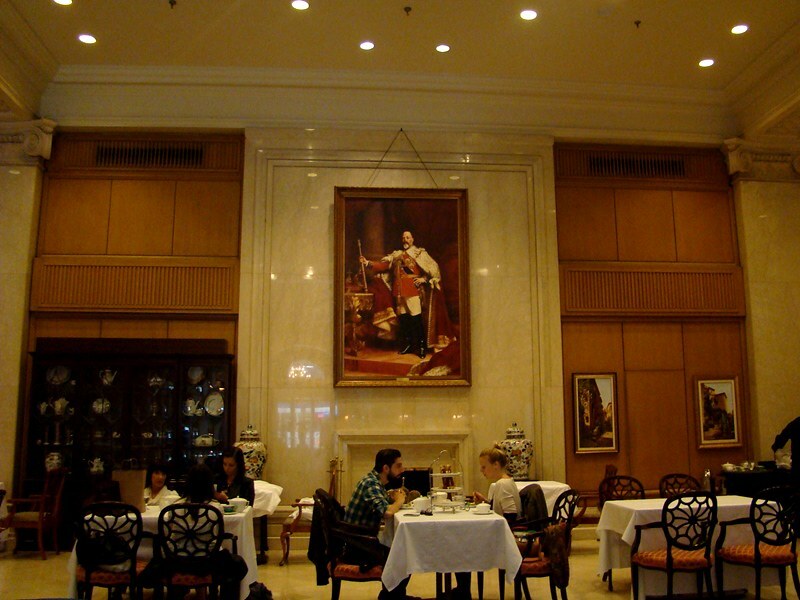 For $42, the King's Tea offers guests the royal treatment with an assortment of traditional finger sandwiches, sumptuous pastries and scones with Devonshire cream. The teas here are supplied by the brand "T", which include the signature King Edward Blend, Taj Spiced Chai Tea, Darjeeling Oolong (one of my favourite types of tea! 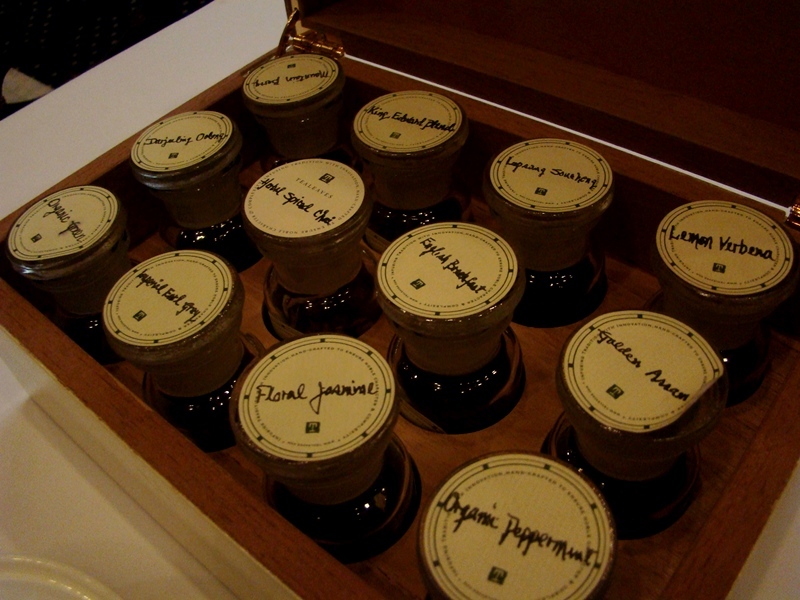 ), Lapsang Souchong, Organic Peppermint Leaves, and several others. It took us quite awhile to choose which one we wanted as they all seemed really good. Always my favourite part of afternoon tea - the finger sandwiches! I usually rate afternoon teas by the quality of their sandwiches. I really loved the ones here. Each one was quite different from the next with a variety of flavours. My favourite was the Egg Mimosa and Asparagus Pinwheel, followed by the Lobster and Shrimp Brioche. Sun dried cherry and classic cream scones, served with Devonshire cream, strawberry preserves and house made lemon curd. The sun dried cherry scones were delicious!! 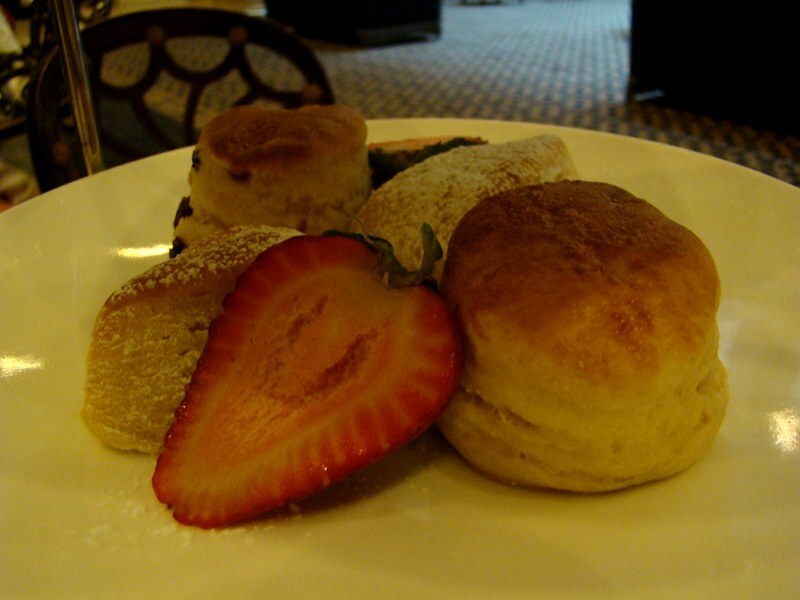 Probably one of the best scones I've ever had at afternoon tea. I found the classic ones too dry though. 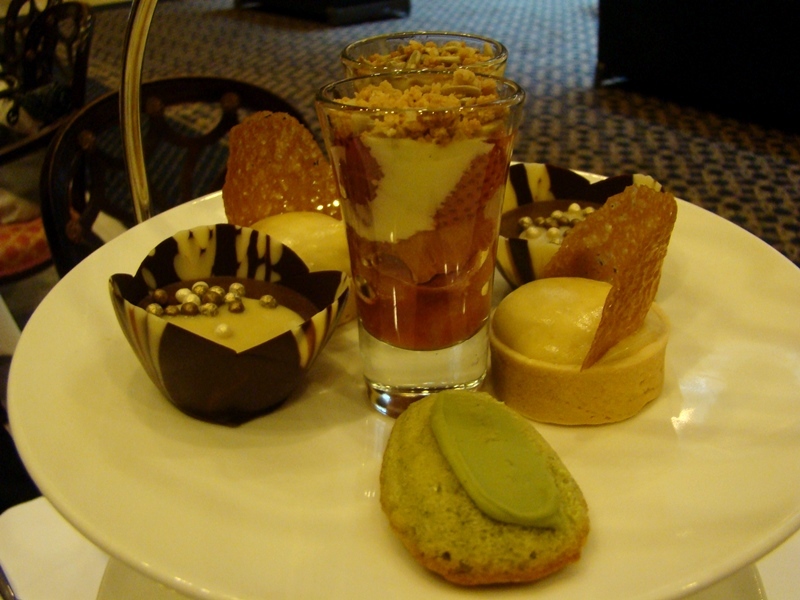 Roasted strawberry and rhubarb fool, Earl Grey infused chocolate pot de creme, maple sugar shack tartlet with silken maple mousse, and green tea madeleine. Since I love green tea, the madeleine was my favourite. After the tea, we went for a bit of exploring before heading home (conveniently just a 2 minute walk away). 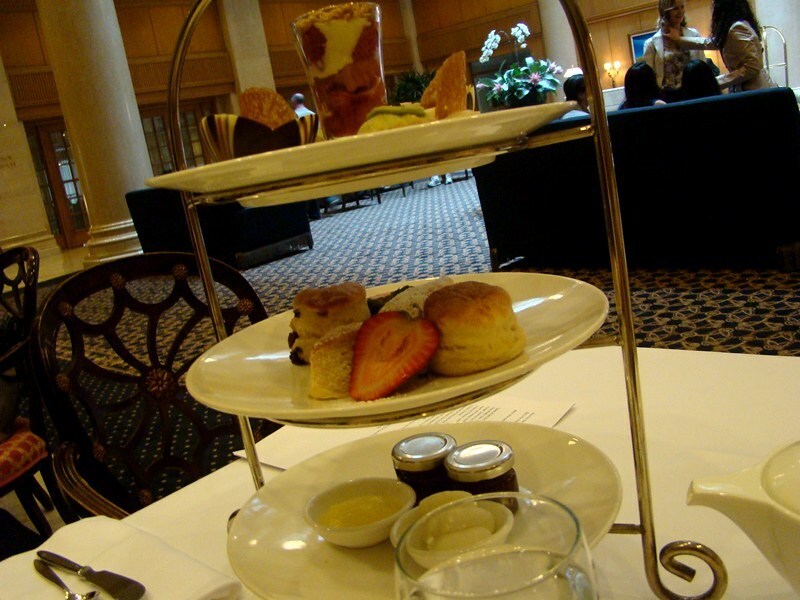 I love high tea! And this reminds me that I am long overdue for my next session hehehe! What a beautiful location! The food is so mouthwatering. Finger sandwiches are also one of my favourite food 'creations'. 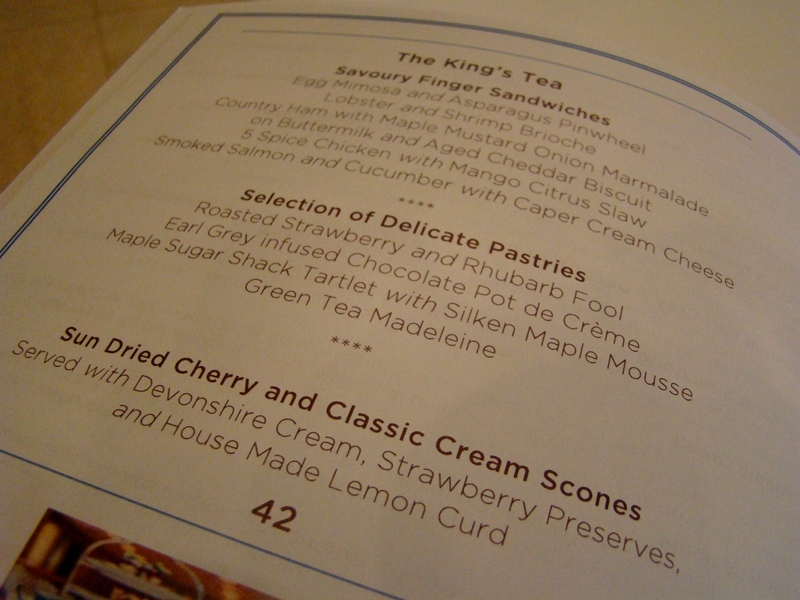 I really hope to go for an afternoon tea session when I'm in London in July. 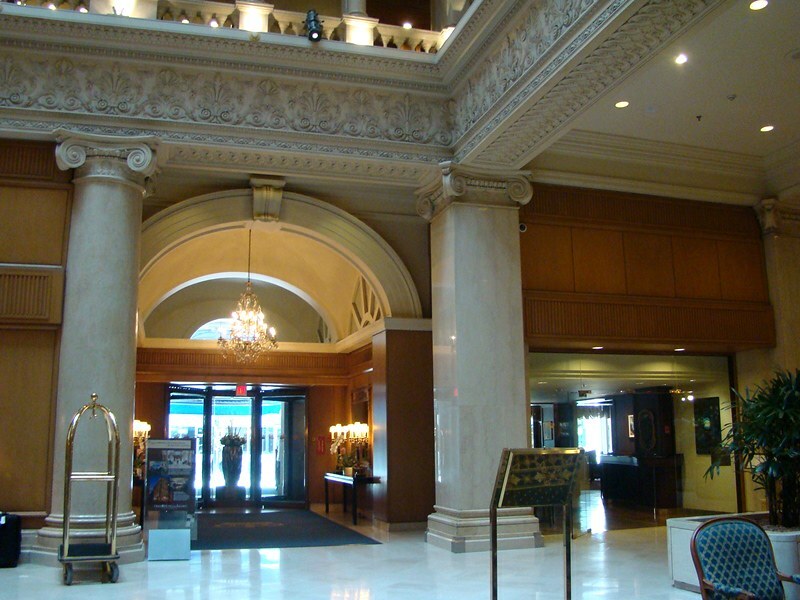 Such a classic Hotel. 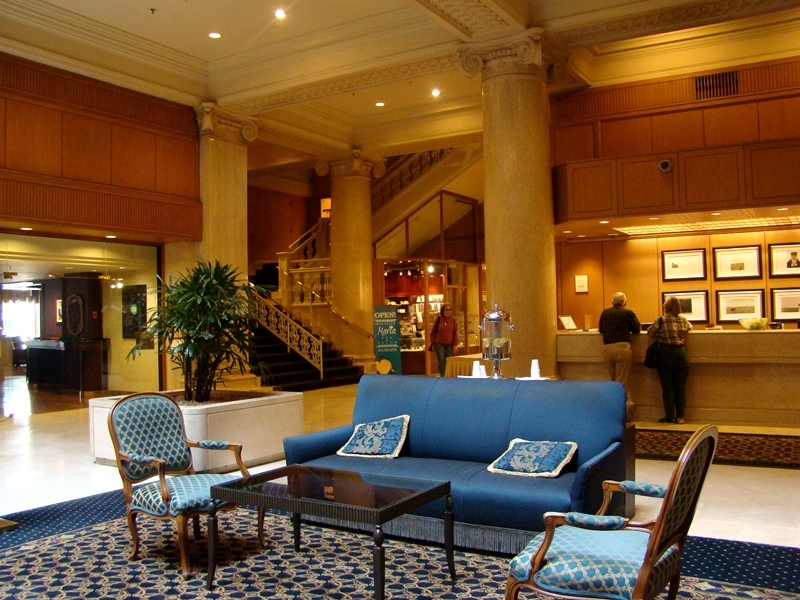 The interiors are so traditional. It has not changed for so many year. The Afternoon Tea there looks so delicious and feels so British in a way. 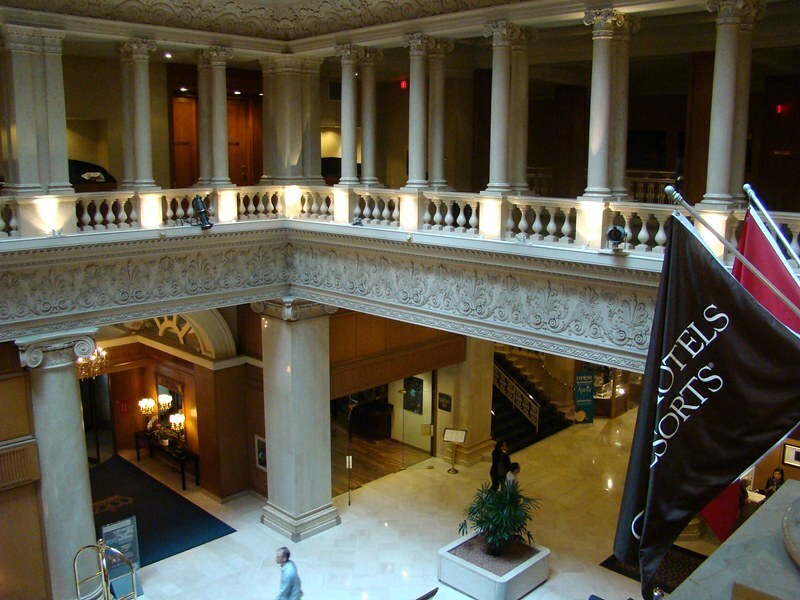 cool hotel love the architecture! xO! You know I can never skip a tea post! 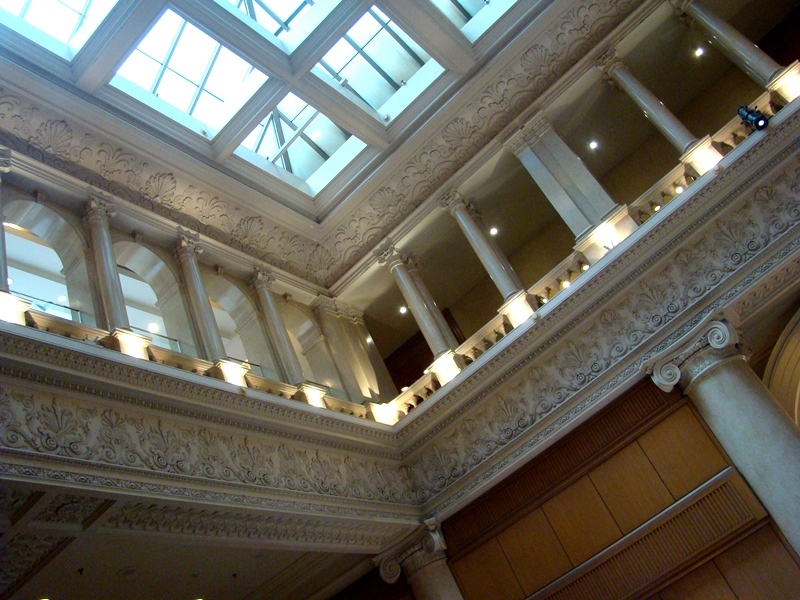 The interior design is amazing, I love all the detail although to be a snob. I've seen quite a few chain hotels use that brand of T. Since my go-to afternoon tea friend left the country for four months, I haven't had tea in a while. Although I've been too busy with school anyways =( I'm glad you enjoyed your tea time and yes, I also think finger sandwiches are one area where I want to be wowed.